Don’t let your chance for compensation after your motorcycle accident pass you by. Contact a Murray motorcycle crash lawyer. The unfortunate reality of driving is that it puts your safety at risk. And for motorcyclists, that risk is even more pronounced. A careless or reckless driver can completely change a motorcycle rider’s life in an instant. What might have been a fender bender for a car or truck could lead to catastrophic injuries for a motorcyclist. If you’ve been injured in a motorcycle accident, you deserve compensation for your injuries and other damages if the crash was someone else’s fault. To obtain that compensation, you’ll have to file a personal injury claim and fight the insurance company, the negligent party, and the negligent party’s lawyers. Alternatively, you could save yourself mountains of stress and improve your chance of success by enlisting the services of a Murray motorcycle accident lawyer with Craig Swapp & Associates. After your motorcycle accident, your lawyer can be your advocate in everything from determining how your accident happened to figuring out who should be held accountable, both of which are important pieces of information for your claim. One of the most important jobs of an attorney is to provide evidence to insurance companies that supports your claim and proves why you deserve compensation. This is an important but difficult task because insurance companies are looking for any reason to deny your claim or pay you less than you deserve. They’ll even point to false stereotypes about reckless bikers to try to pin the blame on you. Insurers are, after all, for-profit businesses that are concerned primarily with their profits. Your Murray motorcycle crash injury lawyer, however, is concerned with your physical and financial wellbeing and will fight aggressively to preserve it. After your motorcycle crash, your top concern is probably how much compensation you might receive. That’s understandable; when you’re facing stacks of medical bills and time away from work, it’s no surprise that getting the compensation you need is your primary focus. The amount of compensation you’re awarded will depend on a variety of factors, but one of the most important is the severity of your injuries and how they have negatively affected your daily life. Motorcycle crashes can lead to many kinds of injuries, ranging from the relatively minor to the permanently disabling. No matter what kind of injury you have, you deserve compensation if your accident was the result of someone else’s negligent behavior. After you’re injured in a motorcycle accident, the insurance company and negligent party are likely to try to undermine your right to compensation for your damages. Don’t let that happen. 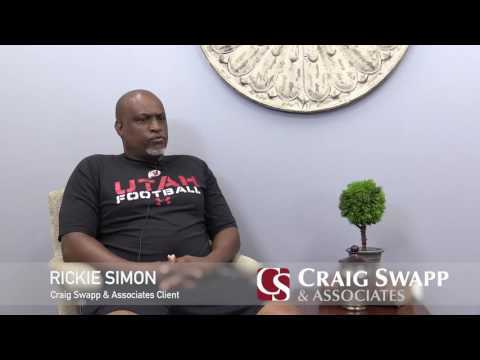 Partner with Craig Swapp & Associates. We will use years of experience and in-depth legal knowledge to make sure your claim for compensation has the best possible chance of success. Give us a call at 1-800-404-9000 or fill out the online contact form below to get in touch with a Murray motorcycle accident lawyer.